WASHINGTON -- A U.N. panel on Monday proposed long-sought greenhouse gas emissions standards for airliners and cargo planes, drawing praise from the White House and criticism from environmentalists who said they would be too weak to actually slow global warming. The International Civil Aviation Organization said the agreement reached by the agency's environmental panel requires new aircraft designs meet the standards beginning in 2020, and that designs already in production comply by 2023. There is also a cutoff date of 2028 for the manufacture of planes that don't comply with the standards. The standard must still be adopted by the agency's 36-nation governing council, but substantive changes aren't expected. The agreement is the first of two important opportunities this year to reduce carbon emissions from aviation. The second opportunity will come later this year when ICAO tries to reach an agreement on a "market-based approach" that would use economic incentives to further reduce aviation carbon emissions. "Today's agreement is an important signal that the international community is well-positioned to rise to the challenge of implementing a global market-based approach to reduce aviation emissions," the White House said in a statement. The standards announced Monday don't set the bar high enough, said Dan Rutherford, aviation direction of the International Council on Clean Transportation, since they require reductions of only about a third of what is expected to be technically possible with the more fuel-efficient planes that will be in production when the standard takes effect. Boeing called the agreement "real progress" beyond industry steps already taken to reduce aviation emissions. ICAO council president Olumuyiwa Benard Aliu said the agency's goal "is ultimately to ensure that when the next generation of aircraft types enters service, there will be guaranteed reductions in international carbon emissions." "These dangerously weak recommendations put the Obama administration under enormous pressure" to take greater action, said Vera Pardee, a Center for Biological Diversity attorney who has sued the U.S. government over aviation emissions. Boeing is the United States' largest exporter as measured in dollar value. The company vies with Airbus for the title of world's largest aircraft maker. 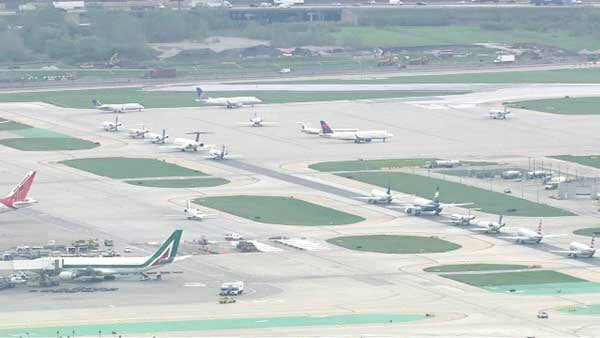 Aviation accounts for about 5 percent of global greenhouse emissions, according to environmentalists. ICAO says it's actually less than 2 percent. But that share is expected to grow as aviation grows. "We also recognize that the projected doubling of global passengers and flights by 2030 must be managed responsibly and sustainably," said Aliu.